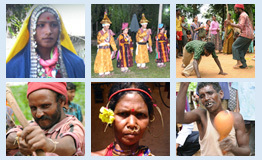 The Purum is the smallest tribe among the 33 recognized tribe of Manipur having a total population of 352 persons found in two villages called Purum Khullen and Purum Likli in Saikul sub-division of Senapati district of Manipur. It is unfortunate to mention that the number of Purum speaker is very less who can communicate fully in Purum language. Mostly they communicate in Kom language. The word Purum is used to refer to a place, a language and the tribe. The language spoken by the Purum village shows many traces of Meetei influenced, especially in the vocabulary. The language belongs to TB family and most of the features are very similar with Meeteilon (Meetei language) and other Kuki-Chin group of languages spoken in Manipur. They do not have their own script. They use the Roman script for the present writing. The Purum practice ancestor worship and believe in supreme deity who controls the universe. They worshipped the traditional house God KACHOPUI KACHOLAI “Sanamahi” and LEIMAREL like Meeteis. Besides they also worshipped their traditional God NUNGJOMBA, a deity. Phou hongba is the traditional festival celebrated in the month of May which just before seed sowing in the fields. Panthong Doi Thouri khaari is a religious ceremony held in the month of January every year. The villagers pray to God to protect them from diseases like cholera, diarrhoea etc. and also from the animals. Cultivation including paddy croping is the main occupation of Purum. Hunting is also another major occupation of the people. Presently, Purum multilingual dictionary and transcription is being prepared.